All the fashionable nerds are making announcements at PAXSouth this year, so why not me? 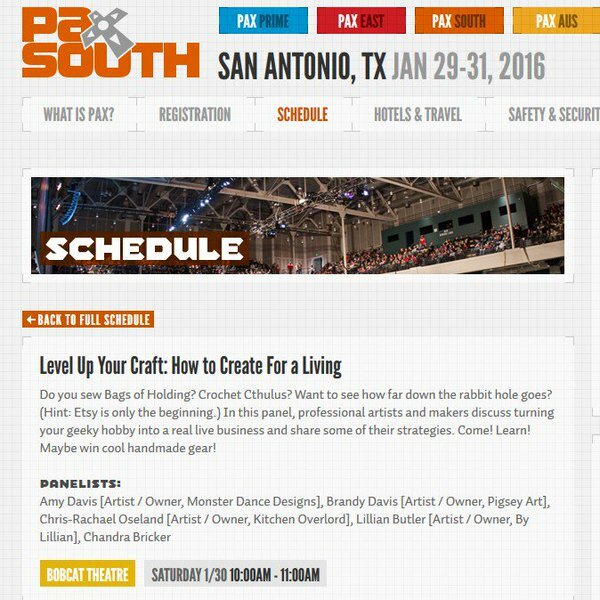 If you’re in San Antonio, join me at 10 am Saturday and learn to #LVLurcraft! I’m one of five full time creative professionals who’ve made the transition from fan to full time day job. We’ll share insights and answer your questions. Stay until the end and you could leave with swag including cookbooks, posters, hand carved wood notebooks, and more! 2) Food Replicator’s Unofficial Star Trek Cookbook Coming this Christmas! I’m proud to announce Kitchen Overlord is publishing a Star Trek cookbook by the amazing folks behind Food Replicator! It’ll be out in time for Christmas – also known as “right before the new CBS Star Trek TV show!” In case you wonder if the food could possibly feel alien enough, remember these folks live in Australia. Head to Food Replicator and congratulate them on their first book! 3) Need more? 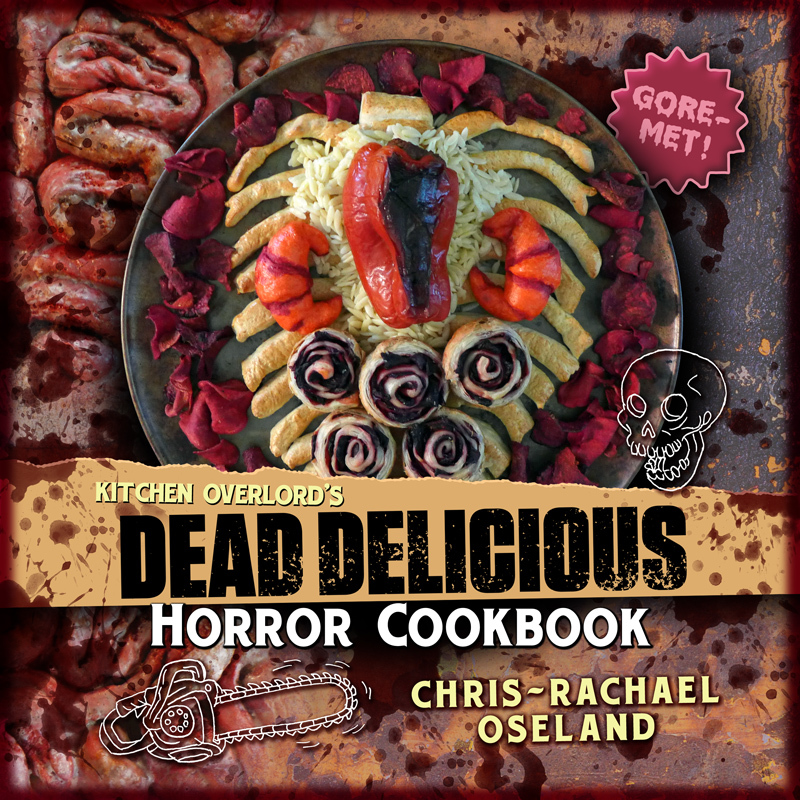 Kitchen Overlord has four other nerdy cookbooks coming out this year! Geek Breads – If you liked the Sandworm Bread that went around, I have 40 more edible sculptures you can make at home. Dough is cheaper than clay, and if you need to hide your art habit from uncreative elders, you can always eat the evidence. Vegetarian’s Guide to the Galaxy – 100% nerdy, 60% vegan, and only 2% vogon poetry. I’m still debating the final title for this one, but at the request of so many Supernatural fans, here’s a hint what’s coming in Christmas 2016. 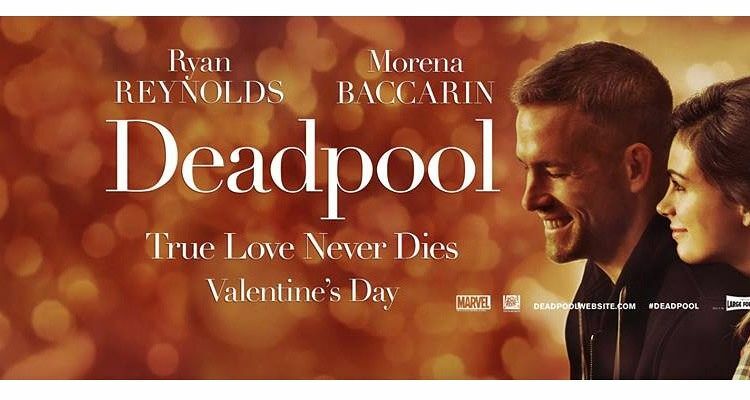 In honor of that wacky new romantic comedy everyone keeps talking about, next week will be black and red and bloody all over with recipes inspired by everyone’s favorite Merc with a Mouth. Check out the pie I finished this week. I’m not sure there are enough knives in the photo. 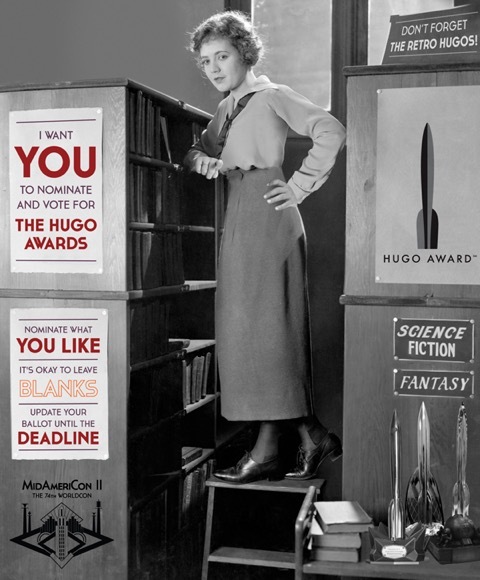 5) Hugo Nominations Are Open! 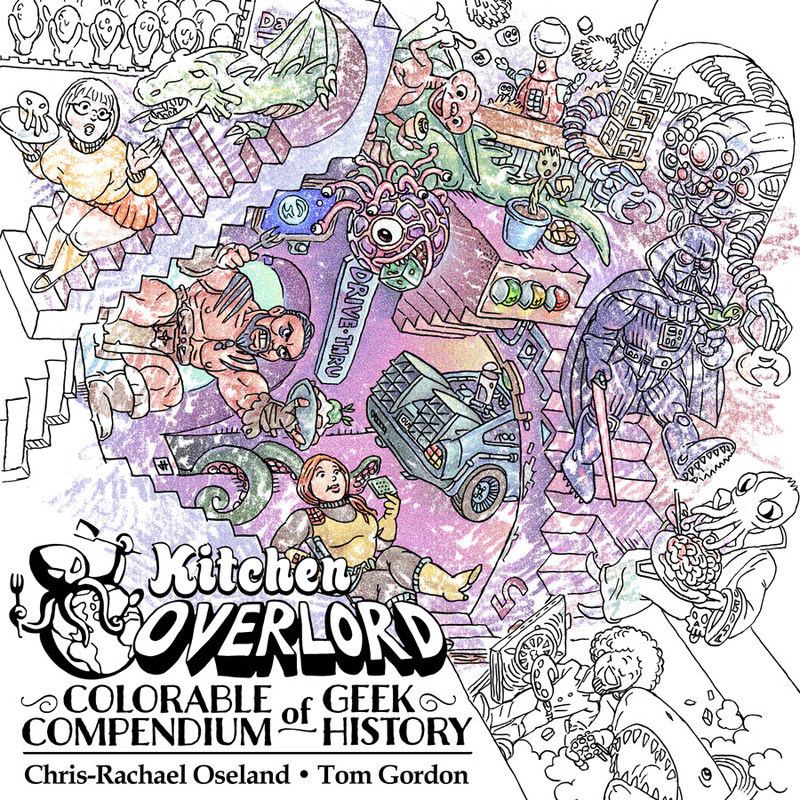 If you’re attending or a supporting member of MidAmeriCon II in Kansas City (WorldCon 2016), I humbly request you consider Kitchen Overlord’s Illustrated Geek Cookbook for the non-marquee Hugo category of “Best Related Work.” Keep scrolling down the list. It may be near the bottom, but it’s dear to my heart. Everybody eats. And in fandom, most people craft. Food was a great excuse for artist Tom Gordon and I to take multiple generations of fans on a journey through 120 years of geek history from HG Wells The Time Machine to current pop culture TV. We pick at least 1-2 iconic fandoms from every decade, drawing from books, movies, TV comics, games, and anime. A lot of the con aunties and uncles who helped raise me are grandparents now. I wanted to make something that multiple generations of fans could not only enjoy together, but also use as a wink and a nudge to get grandparents to try anime or nieces and nephews to try books from the 60’s. Whenever possible, we used actual recipes from or foods represented in the specific fandom. That’s why you have the Ori Omelet representing Stargate, gumbo from Deep Space Nine, chimichangas for Deadpool to snack on, Roopoo Balls from Babylon 5, and Jet’s Special Beef and Bell Peppers from Cowboy Beebop . If there wasn’t a relevant recipe or the recipes in that fandom would require more than 10 ingredients and 10 steps (after all, these things have to be illustrated) then I created an original recipe that looked like an instantly recognizable icon you could show off at parties – like Spice Squash Sandworms from Dune, Captain America’s Breakfast SHIELD, or the 1-Up Mushroom Pizza Rolls from Nintendo’s assorted Mario Brother’s games. The Illustrated Geek Cookbook is exactly the sort of obsessive, category-defying labor of love that “Related Works” was made for. If you don’t know how to label something but you’re 100% sure you won’t see it’s like again, that’s where it goes. Click here to learn more about the Hugo Awards and the nomination process from the ever awesome John Scalzi. I know you have a lot of choices for your nominations. I hope the Illustrated Geek Cookbook has earned a place on your short list. 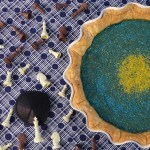 12 Nerdiest Pies For Your Pi Day Celebration! Will your panel be on youtube or anywhere else? I’d love to see it/listen to it! If so, I haven’t seen it. We did invite folks in the audience to YouTube, Periscope, Instagram, or otherwise record and share. If any links come my way, I’ll update the post!